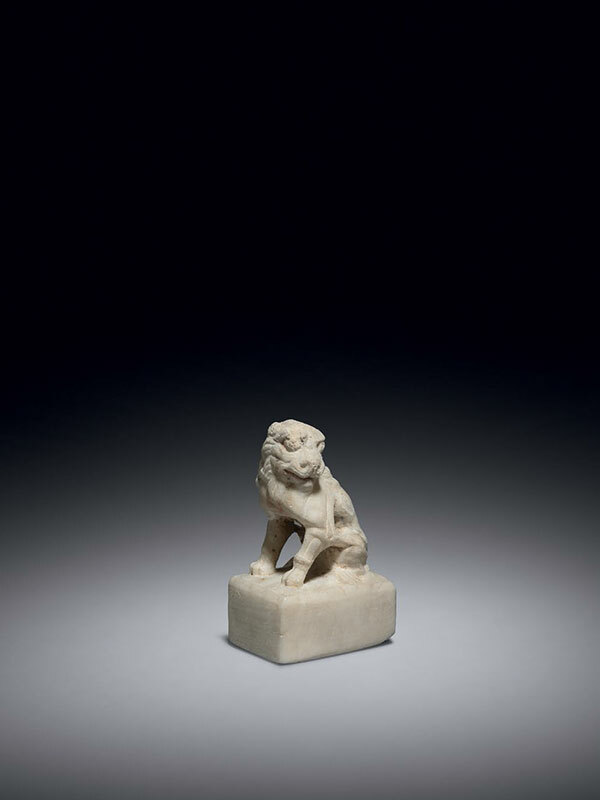 A small marble sculpture of a lion. 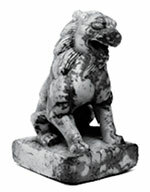 The animal sits on a square plinth with its front paws forward, head turned sharply to its left and its tail underneath its body, curled around its left hind leg. Its mouth is slightly open and has a snarling expression. The elaborate mane covers the top half of its body. The details of the mane and the musculature are minutely defined. The stone is of a creamy-white tone.